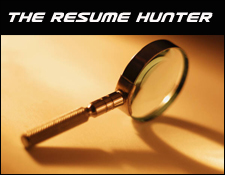 The Resume Hunter has quickly become one of the most hated people on the Internet. The funny thing is, he’s here to help! Not too many Web sites offer a free snapshot critique of your life on paper and help teach you how to write a resume. The bottom line is, if you’re going to make your resume public, then you should have thick enough skin to handle some constructive criticism. This is an exercise we all can benefit from. Without further fanfare, let’s check out the resume of one Kenneth S. Criscione. In Context: Right off the bat, Kenneth states that he is an “Automotive Professional.” This is a great tactic to use when your resume is floating around the Web. Regardless of where it ends up, the reader knows what he’s about and can quickly decide to read on or click out and bail. Find Me: As we’ve seen on a majority of online resumes so far, there is simply too much personal information up on the top. Aside from the fact that anyone can show up at Ken’s doorstep, with so many Web tools available, I can quickly find out that Ken’s house is probably worth over $600k. While in the real world this info should be irrelevant, in reality, it could impact an employer’s decision. Summary Overload: While I do appreciate a good summary, this resume should jump into the experience section a little quicker (it’s almost halfway down the page). However, kudos on using action verbs wisely. They’re strong, effective and not overdone. Use Exact Stats: Specific = Credible. Throughout the resume very specific numbers are used. “Added 223 service plans, 179 gap contracts,” etc. By not rounding these numbers to astronomical heights, I tend to believe that these numbers are truthful. This lends credibility to the resume. Use Exact Dates: While I complimented the use of numbers above, I have to criticize the dates used for each position. Ken only used years – not months. This leads the reader to believe he is trying too hard to bridge the gap between positions. Unless something is really funky, it’s likely best to use months and years for date ranges. Three Pages: Ok, we’re not sticklers for the one-page resume rule. However, three pages might a bit much. There is too much info here on jobs that are 10 years old. After a while, this resume has a repetitive feel and could be – and should be – trimmed down. Each page is numbered and indicates “continued…” on the bottom. This could be made even better by including your phone number up by each heading. That way, if some one only comes across a single page, they know how to contact you. Abbr. : Unless you are 100% sure that you only want a job within a specific industry, you should avoid abbreviations. I don’t know what “F&I” is. Maybe I’m dense – but so are a lot of potential employers. When in doubt, spell it out. White Space: Substance should always beat style. I’d like to see a little more white space on Kenneth’s resume in order for it to be a bit more “readable.” If you’re gonna stretch it to three pages, and the third page is only 1/2 full, why not use the additional space creatively? When push comes to shove, this is a pretty nice-looking resume. With a few minor tweaks, it could certainly move to the head of the class.